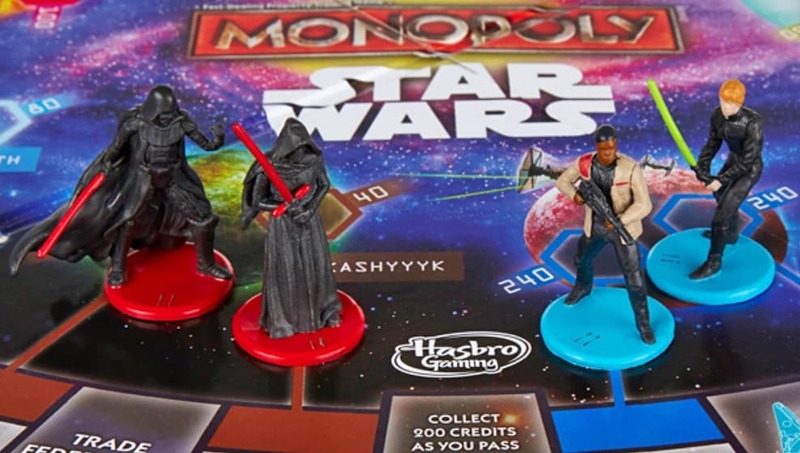 In a previous article regarding Rey’s exclusion from the Star Wars Monopoly game (thanks to the reader who pointed out that this was not just a Force Awakens tie-in), we quoted a Hasbro spokesperson who claimed that Rey was left out to avoid spoilers. Many of our readers questioned the validity of this, noting that the spoiler in question was rather minor and that it’s hard to imagine how Monopoly could spoil a film by simply including a primary character’s likeness. This should relieve some fans, although many responding to the tweet are still questioning why Rey was excluded from the game in the first place. Unhappy with yesterday’s press response, many still feel that female characters such as Rey and Black Widow have been neglected when it comes to merchandising. This is not to say that no merchandise for these characters has been released, simply that it’s far easier to find action figures and collectibles featuring the likes of male characters such as Kylo Ren. The only question now is whether or not Rey will be the only new character included in the next release. Since the original set released back in September included just four player pieces (Luke, Vader, Finn and Kylo Ren), there is no shortage of both new and classic Star Wars characters who might be trying their hand at real estate when the next edition of Star Wars Monopoly releases later this year.